9211 - Caught sneaking a kiss, this laid-back Couple takes a moment for romance. 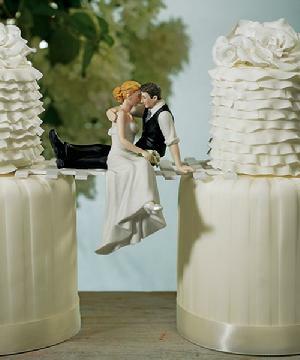 Place the Groom atop a layer of the Wedding Cake and let him embrace his Bride and she dangles her legs over the edge. Hand painted porcelain. 10.5cm x 13.5cm.